THE poor singing master has a hard time of it. If he does say a good thing it is perhaps metaphorically worded and he is persistently misquoted and heartlessly misunderstood. Truly it is sometimes his fault for he is petulant, erratic, emotional and hasty, expressing what comes to his mind in a manner that at once defies contradiction. 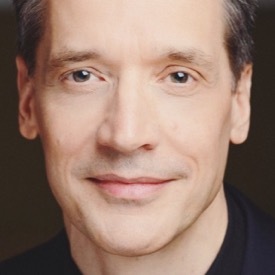 And then it is a curious fact—for I believe it is, a fact— that some of the best vocal teachers have not had the knack of expressing themselves with clearness and precision. Indeed so true is this that a certain portion of our rather nettlesome fraternity are prone to believe that if a man writes a good book on singing he is pretty sure to be a bad singing master. Now here comes the rub. If one is finally overpowered by a torrent of ideas to the extent that he must write a book, or perhaps a publisher offers him a snug little sum to do it, what shall a poor fellow do? Shall he write it so badly that nobody can understand it, and be considered by the above mentioned set a rarely good fellow? Or shall he write in plain matter of fact English, scientific as Herbert Spencer, unquestionably immaculate in diction, and thus be beloved of the scientic vocal teacher? I pity him in either case, for his life will be an unhappy one unless be absolutely refuses to read the criticisms and vituperative letters that are sent to him. However, to make a long story short, Lamperti wrote a book and apparently enjoyed the result enough to write another sixteen years later. Just about the time the last one appeared I wrote to a pupil of mine who was studying with Pozzo in Milan, "What do they think of Lamperti over there?" My next communication from him brought the answer: "Most people say he is a charlatan and a fraud.'' I did not break down entirely at this, but like Br'er Rabbit, "kep' on sayin' nuffin." Then I remembered asking a teacher with whom I studied three seasons, and who was for five years a pupil under Lamperti; "The old Maestro was really a remarkable teacher, wasn't he?" "Well," he said: "he knew it all, but the difficulty was to get him to tell you anything." Well, then I concluded he must be a miserly old "crabby " who had nailed up a store of knowledge for one or two favored kindred spirited pupils, and nailed it tight. Now I bought his first book and read it through perhaps a hundred times. Indeed I have read it to myself and my pupils until I have worn it out. You know when some ambitious Prima Donna insisted on screaming away at her upper notes contrary to all sense and reason, I could show her that delightful paragraph in Lamperti's book which expostulated with her in a different phraseology from mine. But do you know I think one pupil who preferred to scream thought to herself, "Well, Lamperti was a donkey too." How do you like the "too?" Complimentary isn't it? Now I read somewhere quite a lot of stuff about Lamperti. I picked it up here and there. He was declared a good and patient teacher for any one who had voice enough for the stage, but of no earthly use for anyone else. Another declared that he only read a daily paper while the pupil sang. 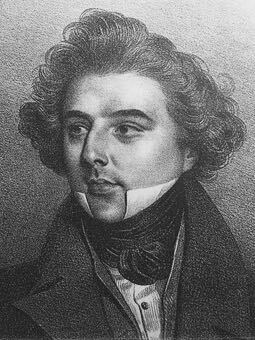 And yet another person, by the way one in whom I had much confidence, told me that Lamperti excelled all other teachers in a sensitive ear for the emission of the voice, and in the peculiar grace of his embellishments. Here is another dreadful state of affairs, by the way. Your singing teacher of the olden time took upon himself the privilege of cutting up the arias and putting in cadenzas of his own whenever he took the notion. We do it occasionally now when we turn back to "Oh Mio Fernando" and his friends and relations. I verily believe I have a dozen or more cadenzas for poor "Fernando'' alone, tucked away on some shelf or other. But the impudent modern composer insists on writing his own music, depriving the poor singing master of his rights, and matters are come to a pretty pass. But we have Bellini and Donizetti to turn back to. Here we can have full swing and we slash right and left in the greatest glee until you would scarcely recognize the aria in a dark night. "Sink or swim, live or die, survive or perish." I give my heart and my hand to the slashing process when I feel like it. Besides this a man can make a reputation in this embellishment business if he will. Signor Spaghetti, Specialist in Cadenzas. "Iago, Iago, my cadenza business! My cadenza business!" But to turn back to Lamperti: You see I have not understood him yet. In addition to what I had already learned I soon added a new fact. 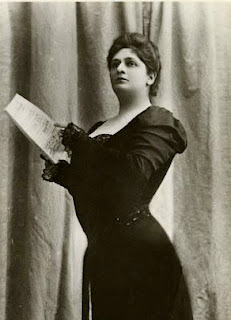 It seems that Marcella Sembrich, the noted soprano, went to the old gentleman to take lessons after she was already a well-known prima-donna. Lamperti didn't like the way she sang and so he called her a stupid donkey. Now that must have amused her immensely, but the only way she showed that she really enjoyed it was by shedding a few tears. If there is any one thing that a pupil must enjoy, it is being called a stupid donkey. 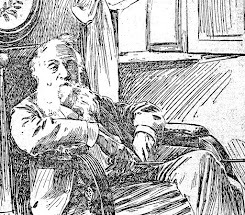 Now, if the irascible old singing-master really did use that sort of language to Sembrich who really was somewhat of a singer after all, how would he have talked to the ambitious canary who would sing within a foot and a half of the key? It would be fun to have heard him, wouldn't it? It happened that I became acquainted with a new party, Mr. William Shakespeare, who is supposed to have understood the old gentlemen rather better than any one else, so I tackled him on the subject and spread out my doubts before him somewhat in this wise: "I have always had an idea that Lamperti knew a great deal about singing, but that it was a hard task to get anything out of him. If the pupil had a voice for the stage I suppose he took some pains; but if he didn't, he wouldn't teach him anything, would he?" He answered without the slightest hesitation: "Why yes, he would teach anybody who would learn; he taught them all.'' So, you see, we have a variety of opinions, but Shakespeare agreed with the others that he was a savage old fellow and never satisfied with anybody's singing. But to return to his books. There were some passages which I could not understand and I supposed it was my stupidity, but I was greatly comforted by Shakespeare's remarking that it had taken him twenty years to understand them. So I take it that our embryo prima donnas will not find it easy to learn to sing from the books that Lamperti wrote, wonderful though they are; but there is no law to prevent their trying it. They are very simple; so simple, indeed,—(and now I am telling tales out of school) that the very translator of the first book could understand neither the book or the Maestro himself, so he went to Shakespeare for lessons to have the old man translated. Now, finally, when I write a book in singing—and you can never tell what the poor singing teacher will do next—I am going to say what I have to say in my own way. Perhaps I shall have half of it clear and the other half foggy. In any case before I make my final bow I shall beg my fellow teachers to let me down easy. I shall ask them to read this article first, to behold my perplexity, and then they will know "where I am at." Rochester, N. Y. Perley Dunn Aldrich, Music: a monthly magazine, 1896. Perley Dunn Aldrich (b. 1863) was a student of William Shakespeare in London for three years, the latter having studied with Lamperti for five, which is alluded to in the text above. 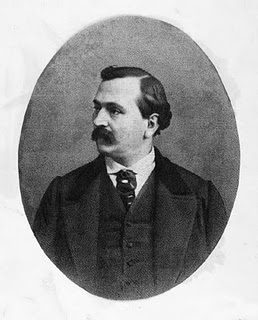 Aldrich also studied with the Parisian vocal masters Sbriglia & Trabedello, composed songs and taught voice in Boston, Philadelphia and Rochester NY. 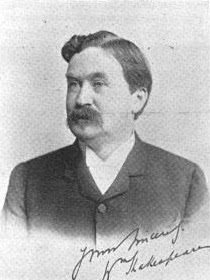 He was the chorus master for the Philadelphia Orchestra under Leopold Stokowski, wrote many articles for various musical magazines, and published a 71 page pamphlet on singing titled Vocal Economy and Expressiveness (1895), a copy of which survives here. Unfortunately, he never got around to 'where he was at.' A pity, seeing that his pithy style and probing questions could have told present day readers a great deal about the teaching of singing. Then again, to borrow his own line of thinking: he may have been a really good singing master. Paul Althouse was one of his students. Francesco Lamperti's pupil William Shakespeare, who I blogged about this past June, was perhaps the great maestro's most influential exponent. 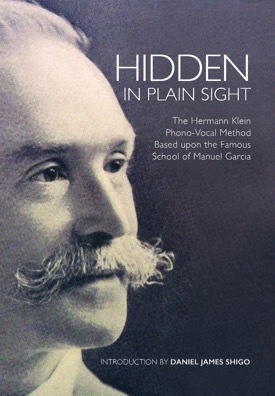 He maintained a highly successful vocal studio in London, wrote several books on singing, as well as many articles. Here is an interview he gave which appeared in The Musical Herald a year before the death of Lamperti in 1892. His thoughts on registers and 'improving' nature are of particular importance. At a charming and compact little house, under the of the Langham Hotel, and in the very heart of fashionable London, Mr. William Shakespeare pursues his pleasant calling of teacher of singing. Here, in the little room at the back of the house, he sits at his Broadwood for many hours in the day, while the footman, urbane and noiseless, ushers his pupils, professional and amateur, to and from the door. Are you privileged to enter the teaching room, and hear a lesson given? Then glance around, before it begins, at the photographs of past pupils scattered about, and the engravings of masters of the art on the walls. A pupil is announced, and Mr. Shakespeare takes his seat at the pianoforte. What is the secret of his success? It is largely due, we should judge, to his care. He has sufficient reputation to be an autocrat. If you go to Mr. Shakespeare you must expect exercises, and not ask for songs. The lady to whose practice we are listening has been a year with her master, having two lessons a week, yet she has only learnt one song. A few hints on singing, written on a sheet of note paper, and including half a dozen simple chord and scale exercises, are all she has. But the secret of the teaching is not on that sheet of paper. It is found in Mr. Shakespeare's conscientious work, his refined and watchful ear, his insistence on foundation habits, his contentment with slow and sure progress, his feeling as a singer, his own refined and scholarly voice-technique. The points insisted on are those that all voice-trainers study — looseness of the throat, breath control, and the natural use of the voice, seeking purity first and allowing power to come of itself. " This lady," says Mr. Shakespeare, "should practise two hours a day, taking the time in short doses, and leaving off before she is tired. To leave off when you are tired is to leave off too late." Thus the lesson proceeds; simple scales being tried over and over again until the desired tone-production is reached. When the song comes, Mr. Shakespeare, every now and then, gives with his own pure and cultured voice a pattern of what he wants, whether it be in the shape of a holding-tone, the easy and liquid delivery of a trill, or tie clear-cut stepping of a run. Mr. Shakespeare, who was born at Croydon in 1849, showed musical leanings in childhood. He sang in the choir of St. Andrew's Church. At twelve he was organist ot the church, and at thirteen was studying composition and counterpoint under Bernard Molique, at the London Academy of Music. This study continued for four years, until in 1866, being seventeen-and-a-half years old, he won the King's Scholarship at the Royal Academy of Music. His teachers here were Sterndale Bennett for composition, and Mr. F. B. Jewson for Pianoforte. In 1867 he won a silver medal at the Academy. While a student at Tenterden Street his compositions included a Sonata for pianoforte in F minor, a Capriccio for pianoforte and orchestra, various overtures, and the first movement of a symphony. These works, according to the German critic, Herr Hugo Riemann, show the Schumann-Mendelssohn bent. They were all well received at the Academy, and were no doubt the means of helping Mr. Shakespeare to win the Mendelssohn Scholarship. This success he achieved in 1871. The Mendelssohn Scholarship is the blue ribbon of the Engish musical student. Mr. Shakespeare's predecessors were Sir A. Sullivan and Dr. Swinnerton Heap. Mr. Shakespeare went to Leipzig with some reputation as a composer. Gounod had written of his Concerto in C that it was "tres remarkable." It was here that he conducted his symphony in C minor. His work there soon brought reflections. Had he received in pianoforte playing such a training in technique as would satisfy German standards, and enable him to press to the front? He yielded to the advice of friends there who encouraged him to train his voice, which, although not powerful, was of good quality. At the Academy he had taken singing as a second study, and had continued it at Leipzig. 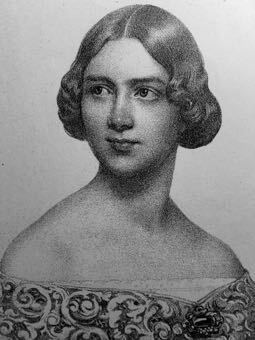 Now that his new resolve was made, the committee of the Mendelssohn Scholarship sent him to Milan, to study singing under the great Francesco Lamperti. This master was one of the last who seemed to possess the secret of the old Italian style as practised by Mario, Giuglini, Grisi. and Lablache. 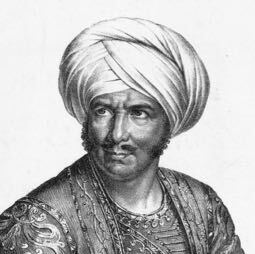 Among his pupils, it is enough to name Albani and Campanini. Mr. Shakespeare remained with Lamperti three years, not forgetting, in the intervals of study, to continue the practice of composition. While in Milan he sent home several string quartets, two overtures, and sundry other things. In 1875 he returned to England, and made his debut with much success as tenor singer at a Philharmonic concert. His classic and artistic style at once gave him a high place among English vocalists. He sang, chiefly in oratorio; declining clap-trap music of all kinds, and pitching his taste high. Mr. Shakespeare had, however, not yet fixed his path in life. Was he to make his record as pianist, composer, or singer? In all three subjects he excelled, yet Fate, curiously enough, beckoned him away from each, and it is as a teacher of singers that his present life-work is being done. To the subject of singing and singers, therefore, our conversation naturally turns. "Fortunately," says Mr. Shakespeare, "I can some what pick and choose my pupils. I have a small class at the Royal Academy of Music, five pupils at Queen's College, Harley Street, but all the rest are private pupils. I give half-hour lessons as many times a week as the pupil can afford to take them. I believe that singing-pupils require the teacher's direction at least three times a-week. Personally I took a lesson every day, Sundays included, when I was in Milan. Singing is not a tangible thing like the pianoforte. You can't see your instrument, and you can't guide your practice in a tangible manner, as it is all done out of sight. I should like to have the pupil with me an hour every day." Mr. Shakespeare is severe on modern haste in voice-training. "The supply of singers," he says, "is not equal to the supply of pianists. And why? Because pupils want to move on too fast. There is need for more time and more earnestness to be devoted to the foundations of the art; not the scales, but how to do the scales. By foundation, I mean voice-production: the ease with which one makes the sound, the command of the motive power, 'playing the instrument.' Pupils come with bad habits which it takes long to correct, and want to be singing in public before their faults are cured, to say nothing of the establishment of a good style." "Of course your aim is to blend and unify the voice, but have you any special views about the registers:?" "When the registers are not felt and the note is satisfactory that is a long way on towards singing. As to the theory of the registers it is a matter for the teacher. I think that the registers of the physiologist are not what are meant by the old' registers' of the old Italian singers. If the old registers don't agree with the registers of the physiologist then there is something wrong, but I repeat that the registers of the surgeon and the scientific voice-producer are not the things exactly which were spoken of by the old singing masters. I think the old singing masters did not mean the many changes of registers, but they referred to the feeling of the singer. "When they sang with the broad vibration in the larynx they said chest voice. When they sang the high voice (from third space) the singer ought to have felt it here. (putting hand on top of head, rather at the back). While the thing must agree scientifically, yet the scientific terms do not express the terms of the old masters. Do I think these old terms were justifiable? They were a necessity in trying to express something tangible. When the muscles act in unconscious freedom we are right, but when the physiologist tells us what the muscles do he does not help us, though he gives us a generally acceptable explanation. Unfortunately there are no particular notes, except in women's voices, where the change is apparent. In women the change is at E flat on first line, treble staff, not F, as many say. Some great singers give bad examples of carrying the voice too high in the lower register. A young singer, however, must not early imitate the experienced singer, and sing things requiring force. He must sing for years before he dares to attempt dramatic effects. If you say it is necessary to hold the throat when you sing, it is wrong — rigidity is the enemy of every art. To sing with the larynx in lithe unconscious freedom is the main thing. This depends, however, chiefly on a right control of the motive power, the breath." "What about the mixed voice?" "Mixed voice, voce mista, is an Italian expression,—it meant neither head voice nor chest-voice. It did not mean any particular machinery, because it did not attempt to explain machinery, but it was suited to their natural way of trying to sing with great litheness the middle notes of the woman's voice and the higher notes of the man's. The mixed voice must be that arrangement of muscle which is probably between the broad thick and the lighter thin register. All baritones have the same difficulties as tenors, but a little lower down. A baritone's weak notes are C, C sharp, and B, B flat, and yet the great composers sometimes write them as his dramatic notes. If they were sung lithely and smaller, then he would have higher notes with great dramatic force, E, F, and F sharp. The tenor a little higher has the same difficulties; D to F are written as his powerful notes, but the tenor's best notes are G and A flat. Contraltos have the vice of trying to make the weak notes strong. Their weak notes are E flat to F sharp, but they will become strong if they sing naturally —that is, mixed voice. They get a distorted power by using the thick register. No man or woman can sing the wrong register without holding rigidly the instrument they sing with. A singer is one whose whole instrument should show litheness throughout." "Is the supply of voices good?" "I think that out of 100 voices accepted at academies they ought to send away ninety, as being not physically capable of producing the grand effects required even if they were trained. We have no 'classes' of voices now-a-days. Having to sing at once dramatic music from the first kills the young singer. The large concert-halls are at fault, but not that so much as the decay in the quality of the school of singing, and the money-making which tempts the aspirant to try to exceed his powers. If a person sings rightly, that is, with ease, and with force of breath controlled, he can do no more in the largest hall than he would do in the small hall. If he understands his business, he will know that his voice is the same, but it is the ignorant who force the voice and 'hold' the instrument; trying to make loud sounds. The fuller the instrument, the vehicle of expression, the more is the expression shown. The greater the motive power then the more powerfully is it shown. You cannot improve nature, but you can allow it to develop. You can allow nature to work naturally, but there is no improvement of nature. If I distort my face by rigidity I don't improve nature. My work is to make stronger what is strong, to make as lithe as possible that which should be lithe, and the strengthening of the voice will come of itself. One's stride gets longer as one gets freer. The first thing to watch is the command of breath in the production of tone; second, development of feeling. The voice is one of the elements of expression. We cannot make expression, we have only to render it; the power is force of breath. If anyone says to me you must fix your larynx, I must say I know nothing about it. What a splendid truth is there in saying when the tone is on the teeth it is not far wrong. The repose of the larynx creates the repose of the tongue. If I attend to the tongue and hold it down with spoons it won't help me there (pointing to throat). First learn how to hold the breath, then now to associate with it all the notes. "Gesture and facial expression always accompany vocal expression. It is useless to teach gesture, that is all wrong. We must teach singers to think what they have to do. A man will sing with gesture if he thinks, but do not teach gesture first." "Do you train for the opera? " "I am glad to say I have not many operatic and concert singers. They are a source of great anxiety because they will get on too quickly. I am, or I hope I am, instilling gradually some sort of experience in sinking to those amateurs who come to me. I am trying to teach in a small way, singing, not necessarily songs. My pupils fool that they are learning something of singing. The songs can easily be learnt. It is the right hand of the bow instrument player which makes the artist. The singer's difficulty is to hold the breath. We have no power but the breath. I hope I understand physiologically something of what the old masters taught empirically. "Nervousness? The only way of curing nervousness is to make the singer, pianist, or any other nervous worker thoroughly understand what they are trying to do, so that they may gain confidence in their art. Also to accustom them by many failures to stand and give their average. You can only give an average of your abilities before the public. You are overcome by the natural trepidation of being in a strange position, but with success the nervousness goes away. The greatest drawback of nervous people is that it makes them rigid." "Do you find that the English pronounce badly?" "The difficulties of prolonging the pronunciation in singing are wholly or mostly due to the rigidity with which we hold the instrument, Given that a person can prolong in talking, they ought, with a natural voice production, to be able to do the same whilst singing. There are two kinds of consonants. There are the tune consonants and the silent consonants or explosives. If a person can sing, he can sing in any language, but English is more difficult than some other languages: the Italians have eliminated difficulties that are in our language. If I say "exactly" they say " esattamente; " "extract" "estratto." The composers' setting of words is often at fault. Some always give a word to each note. If you do not give the singer long notes and phrases on a word how is he to sing." Looking back on his days at Leipzig Mr. Shakespeare says, "I don't think much of the training there, and would not advise people to go. The training in England, however, is expensive, and unless the pupil goes in for a good training and frequent lessons he will not achieve much. The earnestness and cheapness of the German teacher is a great item in favour of going to Germany; that is, one can set a good article for less money in Germany than in England: this applies to all branches of music except the vocal. Abroad you are simple in living, cannot make money, and therefore have time for study." In one respect, however, Mr. Shakespeare cannot deny the pre-eminence of Germany. It is the best place to get a wife. Mrs. Shakespeare, with her boy and girl, beam in a charming photographic group from the table. On the landing a marble bust of Beethoven, which has been in her family for several generations, sheds a benediction upon this artistic house. The daughter bids fair to inherit her father's gifts as a pianist. She has studied for four years under Miss Fanny Davies in London, and is now at Frankfort taking lessons from Miss Schumann. Full of work, and with a reputation as great in America as in England, Mr. Shakespeare's days pass quickly, lightened by his happy, genial manner and his friendly voice. This past July, I wrote a post about Enrico Delle Sedie, a leading voice teacher in Paris who's works were published in America by the Boston publisher Oliver Ditson. While Delle Sedie's books are hard to find outside a library, a google search reveals several journal articles worth reading. Here is one titled "How To Learn To Sing." I'd be please to know what you make of it. Worth noting is Delle Sedie's instruction from the 'masters of old'. In order to obtain a rounded and broad vowel one must "Swell the sound in the mouth by raising the thorax." Now that's something to ponder. Equally provocative is Delle Sedie's instruction to sing mezza voice (half voice) in the middle of the voice to obtain control over it, only afterwards developing volume. I use the word provocative because it's a method which takes time, and time is in short supply when a large voice is the only goal. I've written about Blanche Marchesi on these pages, but haven't mentioned her book Singer's Pilgrimage, which you can read (at least in part) here. It's an interesting read, as books go, insofar that it gives one a whiff of times past as well as the comings and goings of various persons, especially that of Manuel Garcia, his family, as well as Blanche's parents. Her mother produced singers like hot cakes, and her father was not to be messed with. What a family! While Blanche Marchesi did not have a great voice (she tells the reader that her greatest disappointment in life was in not being a contralto), she did have a modest career before carrying forward the teachings of the Garcia's into the 20th century as a voice teacher. Singer's Pilgrimage doesn't contain that kind of information, but her other work, The Singer's Catechism and Creed does. You will need to find it in a library seeing that it's not yet online. Both books are worth reading so as to obtain a window into past practices and a world that is no more.